The nation’s president uses social media for everything from international relations to lashing out at adversaries and announcing new military policies. And it’s this era that has prompted the Chicago Board of Ethics to issue its first-ever guidelines for elected officials’ behavior on Facebook or Twitter. Nearly 50 percent of young Chicago voters between the ages of 18 and 35 turned out at the polls last November, a record-setting surge due primarily to two factors: anger at the election of Donald Trump and the proliferation of voting by mail. Yet, fast forward five months, and that number plummeted, with less than 20 percent of the age group casting ballots in the citywide election Feb. 26. Coaxing young voters to the polls is a key challenge for former federal prosecutor Lori Lightfoot and Cook County Board President Toni Preckwinkle as they square off in Tuesday’s Mayoral runoff election. Also on the Chicago ballot are 15 aldermanic contests and the race for city treasurer, since none of these candidates emerged in February with more than 50 percent of the vote. Young voters cut across a number of key, up-for-grabs voting blocks which include the predominantly white wards packed with trade union and city employees on the city’s far Northwest and Southwest sides, and nearly two dozen key black and Hispanic wards on the city’s South and West sides. 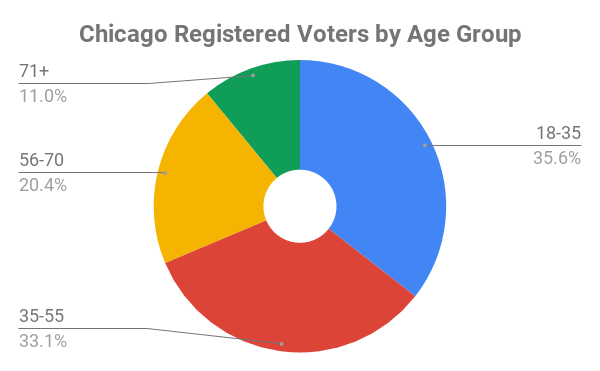 If voters between the ages of 18 and 35 turn out April 2 with the same enthusiasm as they did in November, that could mean up to 80,000 votes for either Lightfoot or Preckwinkle. 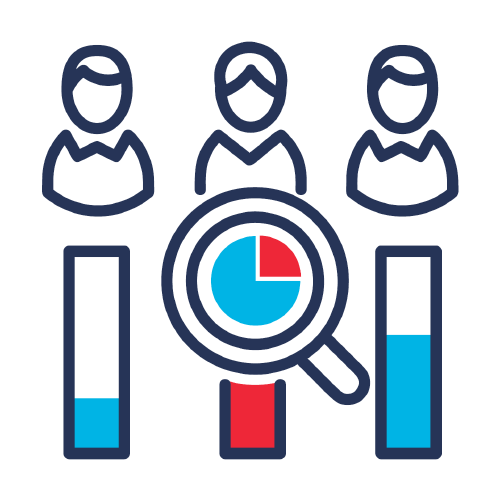 The Center’s dive into newly available voter data found Millennials helped push registered voter turnout to 56 percent last fall - the largest number since 1986. Those aged 18-35 comprised 29 percent of the Chicago’s total vote share in November, compared to 19 percent statewide. The only election jurisdiction with a higher percentage was Champaign County, home to the University of Illinois. 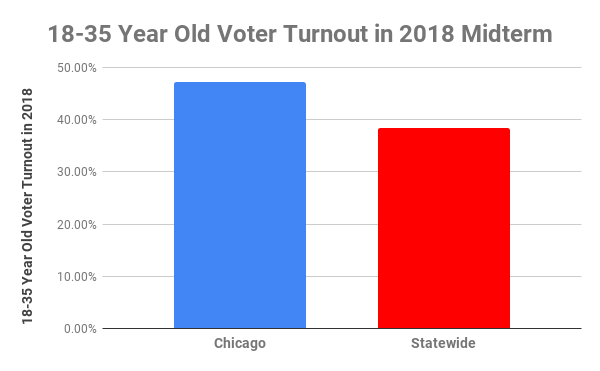 Looking at turnout, an analysis of November turnout shows that Chicago’s 47 percent youth vote was nearly 10 percentage points higher than the statewide 38 percent average. As voters age, the data shows, they become increasingly more devoted to turning out each and every election. Twenty nine percent of voters age 18 to 35 who voted in the 2018 midterm also voted in that year’s preceding primary. That number rose to 47 percent among 36 to 55 year olds, jumping to 63 percent among those 56-70 year old bracket, and to 68 percent for older voters. 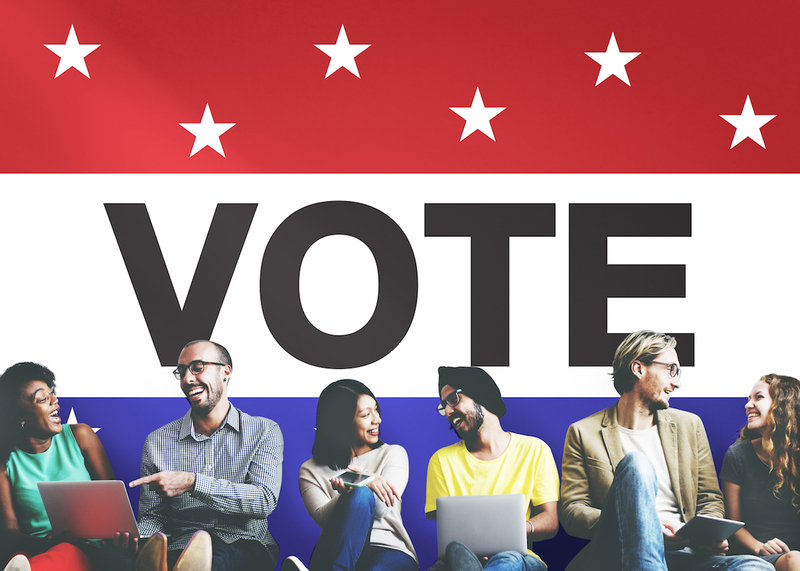 The candidates will have a major advantage in getting 80,000 voters who might have otherwise stayed home if they can effectively combine their messaging with a modern version of Get Out the Vote efforts that features vote by mail. In recent weeks, Preckwinkle and Lightfoot have sharpened their respective messages in an attempt to differentiate themselves, clashing on police reform and improving the city’s schools and finances. Lightfoot, in addition to her role as a prosecutor, worked on the Chicago Police Board, but has never held elected office. She says never holding elected office before is to her advantage, remarking in a WGN debate last week that across the city, “people understand the status quo has failed them,” a dig at Preckwinkle, a longtime city alderman serving her third term chairing the county board. Preckwinkle, in turn, has suggested that Lightfoot is a political neophyte ill-equipped for the office, and has criticized her police reform work as only serving to further engrain a bias of officers against minority residents. How will that translate into turnout? Early signs are encouraging, Allen says. The Chicago Board of Elections has seen a spike in the number of mail-in ballots requested in recent weeks - a good indicator, Allen said, that young voters, who tend to prefer the convenience of voting by mail. “We’re finding the key to any successful program is not what we do, but what voters do to circulate advance notice, to apply a little peer pressure (to get out and vote),” Allen said.